I regularly present different seminars, including “Estate Planning from a Parent’s Perspective,” “Cover Your Assets: Securing your Legacy in a Digital World,” “Special Needs Planning Basics,” and “What is a Trust and do my Real Estate Clients need one?” It is such a pleasure to educate those in our community about these important topics as many people may be uninformed, or worse, misinformed. As a mother of two young children (Madison turns four years old on October 7 and Ripley turned two years old on August 7), I understand how busy and overwhelming life can be. I also know how important it is to be prepared. This preparation comes in many forms: making sure there is even toilet paper at the house, that we have an earthquake plan, and in my profession, a plan for what happens if we become incapacitated or pass away. 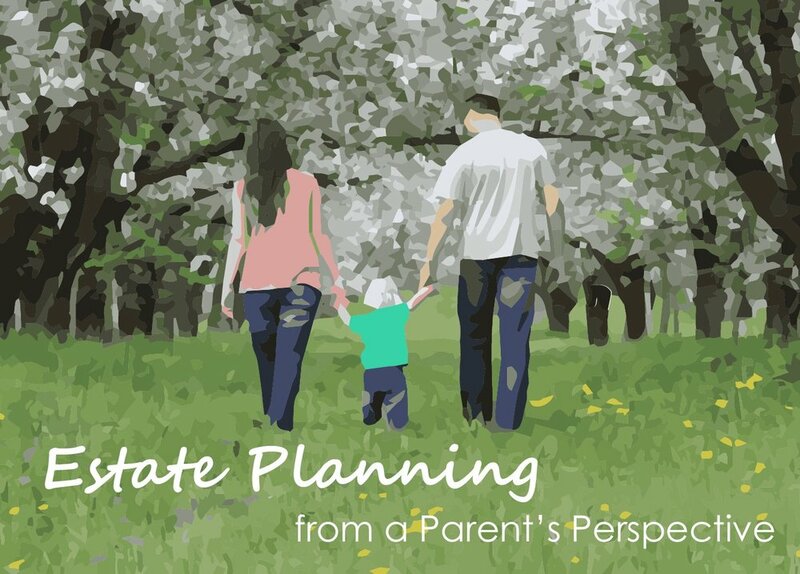 Estate Planning is one of those subjects that people may have heard about, feel overwhelmed by, and have some misconceptions about. Especially as parents, it may have come up in conversation with friends or family. We don’t expect anything to happen to us as parents anytime soon, but there are some unpredictable tragic events that can happen. If something were to happen to us, we want to make sure our children are still taken care of and that our assets go directly to those we love. Here are some of the takeaways when I give this seminar on concerns that parents may have. -What is Estate Planning? Estate Planning is the process of documenting your wishes, ensuring you and your loved ones are taken care of. This still means that you control your assets and property while you are able to do so, but you have created a legal plan to give what you want to whom you want when you want. For parents, this also means making sure your children’s guardians are set. -Why is it important? It allows you to have control and make the choices for what happens, as opposed to having the court get involved. You may have heard the term “probate court” in conversations about Estate Planning and this is a process many seek to avoid. Any court process requires time, court fees, and attorney’s fees. Having your Estate Plan provides peace of mind knowing that you have made these decisions and they will be carried through. It gives your family one less thing to worry about if something were to happen and prevents conflict. They will still have to take steps to administer your Estate Plan, but it is leaps and bounds easier and less stressful than going through a court process. -What should you consider when customizing your plan? Estate Planning is about family. Each family is different in size, composition, and dynamic. It’s important to thoughtfully consider what you want to do, who would take care of these responsibilities, and the logistical details in between. Many times, people don’t know what they don’t know and need to be sure that they have considered all the options and consequences. Common questions and pain points for parents. These are all questions we frequently answer and also issues that we make sure are addressed in customized Estate Plans. -If I am unable to take care of my kids, what happens? Here is a blog post on considerations and tips we like to share about choosing a guardian. -How can I ensure my kids get the money we’ve worked so hard to save? -How can I make sure the money is used wisely? -If I am ill and cannot make decisions for the family, who takes care of them? Here is a blog post on how to approach choosing a successor trustee (the person who makes financial decisions). -Who makes my health care decisions if I can’t? How do they know what I want? Here is a blog post on what to think about when choosing a health care agent. -Estate Planning is a private process. Only those who need to know the details or those who you share your plan with are aware of your wishes. -Estate Planning allows your loved ones to avoid lengthy and costly court proceedings. -Having a plan gives you control over what happens to your estate and assets. It’s good to take this process seriously, even if we don’t expect anything to happen.